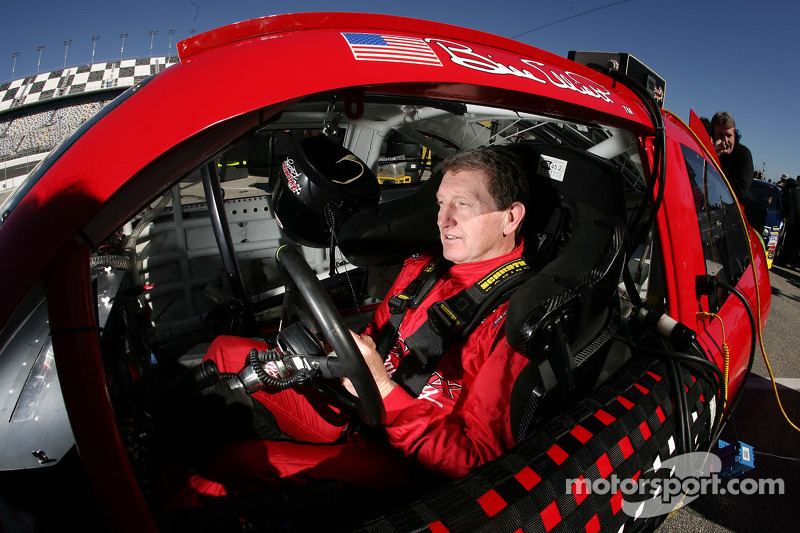 The Bill Elliott Comeback Tour is slated for only one stop, Road America in Elkhart Lake, Wis., and that’s just fine with NASCAR Hall of Fame driver and 1988 NASCAR premier series champion. To hear the 62-year-old tell it, he’s not even sure how he wound up in this position in the first place. Elliott will pilot the No. 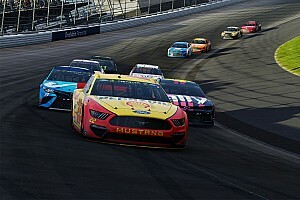 23 Chevrolet for GMS Racing in the Xfinity Series event slated for Aug. 25. It will be his first NASCAR start since 2012. 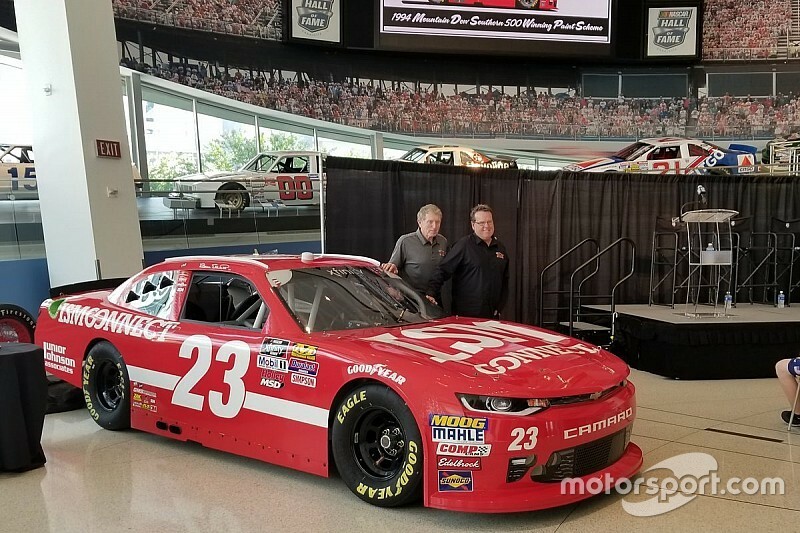 Team officials unveiled the paint scheme for Elliott’s return Tuesday at the NASCAR Hall of Fame – it is fashioned after the Southern 500-winning scheme on the Junior Johnson-owned red-and-white entry from 1994. “I’ll probably have to go to the rookie meeting, have a yellow bumper,” Elliott joked Tuesday. 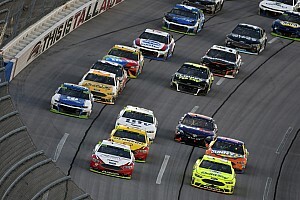 There is no apprehension, he said, adding “there again, I don’t know what to expect.” But he knows the equipment is competitive – Spencer Gallagher won at Talladega earlier this year while Chase Elliott finished second at Pocono and AJ Allmendinger was runner-up at Watkins Glen recently. 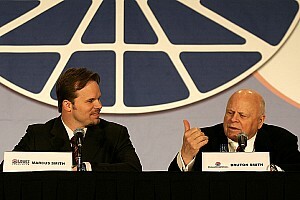 “They have good stuff, good cars, the whole deal,” Elliott said. The rest will be up to him. Mike Beam is president of GMS and a garage veteran. He worked as crew chief with Elliott in ’94 when the team scored the Southern 500 victory. The two have close ties. Rich, the rear-tire changer on the No. 9 Melling Racing Ford, was struck and killed in a pit road incident at the season-ending Atlanta race in 1990. Elliott went winless in ’93 and the ’94 victory at Darlington (S.C.) Raceway snapped a 52-race winless streak. Elliott’s Road America scheme wasn’t the only car unveiling at the Hall Tuesday – Gallagher’s throwback scheme for next month’s Darlington race was also on display. The red and white look pays tribute to the late Davey Allison and is fashioned after his ARCA-winning entry. 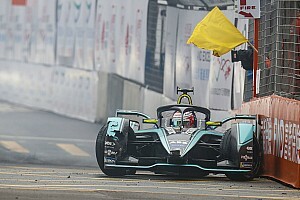 “This is seriously, without a doubt, the coolest thing I’ve ever gotten to be a part of in my time in racing,” Gallagher said. “This is my favorite scheme I’ve gotten to run so far and it being Davey’s just makes it so much more special. Beam is a fan of the Darlington throwback scheme as well, pointing out Davey’s father, 1983 Cup champ and Hall of Fame member Bobby Allison who was on hand for the unveiling. Beam eventually worked up the courage to ask for Bobby Allison Motorsports decals/patches. Not long after, they arrived in the mail. “I’ll always remember that,” Beam said.